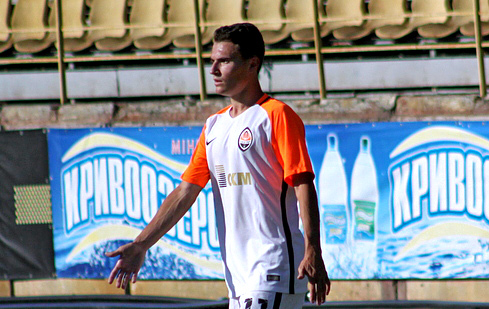 Shakhtar top the youth league table with 10 points. Valeriy Kryventsov’ team claimed three wins in a row before playing a draw with Mariupol in the last round. That Orange-and-Blacks finished off the clash with nine men after Valerii Bondar and Danylo Ihnatenko had been sent off. The places of disqualified players were taken by the newcomer Serhii Chobotenko and Volodymyr Yakimets, respectively. Yevhen Hrytsenko returned in the Donetsk side’s goal, with Denys Arendaruk and Giorgi Arabidze also emerging in the starting line-up. Oleksandriia also enjoy an unbeaten streak (8 points) and come third. 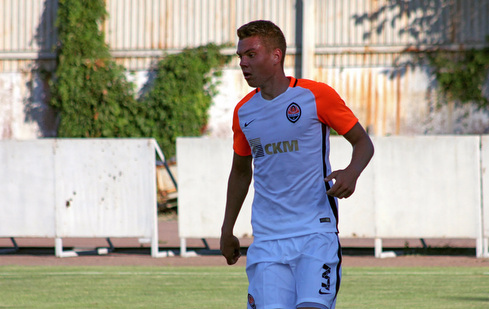 A week earlier, Andrii Kuptsov's guys thrashed Chornomorets away (4-0). For the match against the Miners, the hosts strengthened themselves with several regular players from the first team. The early stages of the match saw the opponents operating at a low pace and carrying on a positional struggle, groping for the game in midfield and not disturbing the goalkeepers. However, the first shot on target turned out to be a scoring one. In the 18th minute, Oleksandriia counterattack rounded off with a long-ranger from Vitenchuk who found the net. The goal inspired the townspeople so much that they pressed forward based on emotions to create a couple of nice efforts, but failed to build on the progress. In the middle of the half, the referee made a pause required in the hot weather, which proved very useful for the Miners: they calmed down, concentrated and regained control, settling down at the other end. However, they did not manage to approach the opponents’ goal at a strike distance. 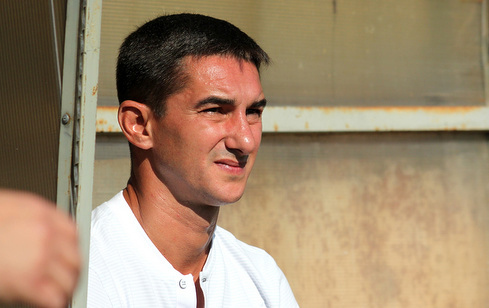 A 33-minute challenge in the midfield turned into a fight: the captain of the host squad Havrushko vented anger on Topalov, kicking the lying player, but Ihor Paskhal did not react to the episode, but gave the marching orders, for some reason, to pleading for his team-mate Oleksandr Masalov and Oleksandriia player Myhailo Kozak instead. All the remaining time before the break, the Donetsk side besieged Levanidov's penalty area, but it came to nothing. For the second half, Shakhtar's players came out extremely motivated, as they picked up the pace immediately, put on speed and began to create an effort after effort. Sahutkin muscled his way through his man to blaze his header over the bar. Hluschuk fell just short of tapping in a cross from Topalov. Arabidze fired his slashing kick into the crossbar from the set piece. Pikhalionok tested Levanidov from around 22 meters. The pressure of the Orange-and-Black brought success on 74 minutes. Dmytro Topalov got inside the penalty area from the left to connect with a cross from Yurii Hluschuk, who was standing with his back to the goal, but managed to divert the ball inside the net to make it 1-1. Within the closing fifteen minutes, the Donetsk side held the advantage and built up pressure inside the rivals’ penalty area, as the yellow-and-black launched sharp forays forward: Yevhen Hrytsenko was forced to make a save after the opponents went one on one with him a couple of times. 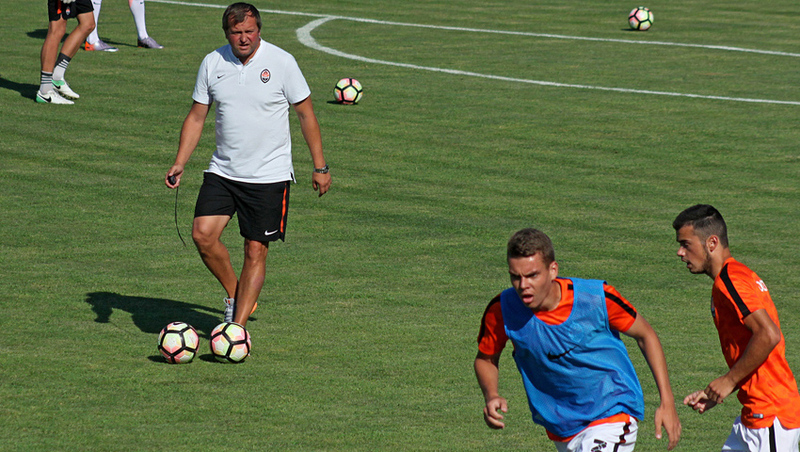 Shakhtar rushed forward with the entire team for a late-game rally, but Oleksandriia survived to keep the scores at 1-1 and claim a draw. In the next round on August 18, the Miners will take on Olimpik home.